Creamy, bittersweet, hypnotic, intimate—such is the sound of 'DANCING ON NEEDLES', the stunning new album from critically acclaimed indie singer-songwriter CHARLOTTE MARTIN. Produced by Ken Andrews (Pete Yorn, Beck), the rapturous album traces Martin's heartbreaking struggle with intercostal neuralgia, a nerve disorder that left her incapacitated for much of the past year. Unable to stand or sit at the piano for extended periods of time, Martin was forced to write and record the album in pieces over the course of a year. Despite the arduous process, she managed to craft a beautifully warm album of faith, hope and love. 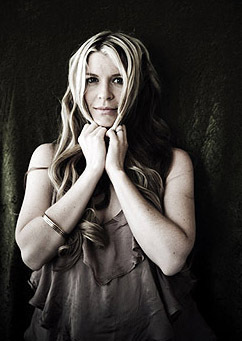 Over the course of her career, Martin has recorded both major label and independent releases, performed sold-out shows to audiences around the world and shared stages with the likes of Liz Phair, Pete Yorn, Damien Rice, Jason Mraz, and many others. Her music has been licensed for a plethora of television shows, including “So You Think You Can Dance,” which regularly features her song “The Dance” during the show’s open. Released on Martin's own Test-Drive Records, 'DANCING ON NEEDLES' feels like entries from a journal, with Martin staring down the darkness to come out the other side. Musically, each track is wrapped in gorgeous, swirling melodies and soft, dreamy textures. Chatting recently with the lovely Charlotte Martin, I first wondered how a Miss Illinois Teen USA (1994) goes on to make well-received, mainstream commercial albums? Had there been any major speed bumps along the way? "Miss Teen Illinois was when I was 18 years old. Now I'm 35. A lot of change happens in that many years. I'm a far cry from a beauty queen these days. Of course there were speed bumps. Like most adolescent girls, I was in the process of finding myself. Didn't find it in a beauty pageant ,but found solace in composing songs. As far as my albums being well received, well, that's just luck I believe. Right place, right time. I'm a very blessed individual to be able to do what I do." It seems you have loved writing and playing songs since you were a little girl. Growing up, what albums did your parents play around the house that first got you interested in music? "They played mostly classical. My dad did love Billy Joel and Buddy Holly. I grew up around a lot of Rachmaninov and Bach." Indeed, as you yourself got reconized within the business, you went on the Chicks With Attitude tour in 2004 - a tour that I saw here in Royal Oak, MI. In reflection to those tour dates, can you reveal some juicy tidbit of gossip about a behind-the-scenes moment that has never surfaced till this day, perhaps?! "Sadly, I don't have any juicy gossip about this tour. I did take a 50 dollar cab ride in Texas to the nearest Chick Fil-et on the day my album came out!" Your new album, 'Dancing On Needles' chronicles an ongoing battle with the nerve disorder, intercostal neuralgia - something that came to the fore within you after the birth of your first child, Ronen in 2008. But, in what way does this album chronicle such a condition? "Some of the songs were a narrative report of my injury and how I dealt with it emotionally. Specifically in Dancing on Needles, Life Vest, and Animal." And, as this may be pertinent to some of our readers, having left you incapacitated for much of the past year, did you suffer depression due to this disorder? And, if so, how did you break free from it to concentrate on this albums recording? "Of course I did. I couldn't function or take care of my son. I didn't break free from it when I recorded the album. I just recorded it depressed." And is the title of the album reflecting the pain you constantly suffered whilst being unable to get out of bed, being misdiagnosed countless times? "Yes." How are things today, Charlotte? Has the worst passed, is it a controllable disorder now it has been correctly diagnosed, or is it (and always will be) an ongoing, uphill battle? "Much much better. I have healed...it got a little yucky during the end of my pregnancy but it totally healed and I know what it's like to not be in pain. It's taken me a long time to be able to say that. There were days I just couldn't see any hope at all. I was just lost in feeling awful thinking it would never end." Now the album is out, have you been able to perform any local shows to aid its promotion, perhaps? "I played 2 shows in NY, Chicago, and a show in LA. ",p> Great news ... and I hear you are also a new mother; after the March 9th '11 birth of your second child, Stella. Congratulations :-) "Thanks you! I'm in love! and sleep deprived!" Do you have any tattoos and, if so, and as we're not called Exclusive Magazine for nothing, what are they of and where are they located?! "Nope, but if I get one I'll be sure to send you a photo." Yes, that would indeed be appreciated ... lastly, and throwing you a journalistic curve ball, Exclusive Magazine love penguins ... do you, perhaps? "Of course! who doesn't love penguins?!" 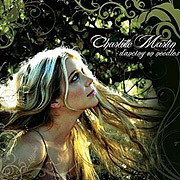 If you would like to win a "Casuals" Fan Club Membership to Charlotte Martin, just answer this easy question about her: Charlotte co-wrote and contributed vocals to a song (by another band) that was released on the soundtrack for a Chris Evans / Jessica Biel movie. What was the name of that movie and who was the band she collaborated with? !